On Monday, September 19, Al Jazeera's The Stream, social media and news program, broadcast an episode titled "Farewell, Spain?" in which they interviewed Alfred Bosch, Carla Ponsatí, and Carles Muntaner, as well as shared tweets and videos from the internet. I decided to transcribe the show to make it more accessible (and those subtitles now form part of the official video), and Jaume Soler translated the transcript into Catalan (and those subtitles should be incorporated soon). Lisa Fletcher (LF): Hi I'm Lisa Fletcher and you're in The Stream. Today, is Europe about to welcome a new state? We turn to Spain to examine Catalonia's increasingly popular separatist movement. As always, our digital producer, Malika Bilal is handling all your live feedback as it comes in during the show, and Malika we've been seeing a lot of online support for Catalonia separating from Spain. What are you hearing from the community? LF: And to Malika's right, is Clara Ponsatí, she is a visiting professor of Economics at Georgetown University. She is also a research professor at the Institute of Economic Analysis in Barcelona. Clara, thanks for being with us. Clara Ponsatí (CP): Thank you for inviting me. Video: Catalonia wants to be a new state in Europe because we want to do exactly the same that all other European countries do. We want to make our own laws, we want to defend our interests in Europe. We want to defend our language and our culture, which are different from Spanish ones. And we want to manage our own taxes and our own money, and decide which investments are best for our country. LF: Catalans say their region gives more in taxes to the Spanish government than it gets in return. They also complain of reduced investment in the region's infrastucture. And on September 20, coming up this week, Artur Mas, the Catalan leader, is set to meet with Spain's Prime Minister, and present the "fiscal agreement" which gives the region powers to levy taxes and decide what percentage should be given to the Spanish central government. If talks fail, Mas says Catalonia's way to freedom is open. 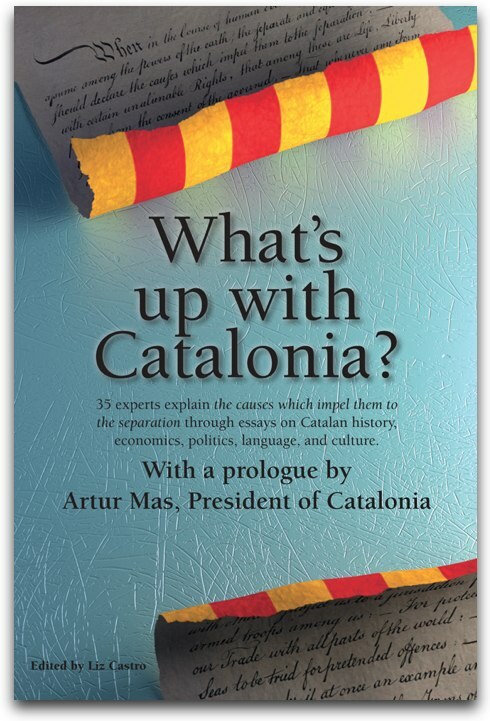 LF: So, will Catalonia succeed in separating from Spain? Is it their right to seek independence and self-determination? Or are they turning their backs on Spain now that times are tough? To help us answer some of these questions, we are joined from Barcelona by Alfred Bosch He is a Catalan politician and member of the Spanish Parliament. He was the spokesman for the Barcelona Decides Platform which organized a referendum on independence in 2011. We are also joined via Skype from Toronto by Carles Muntaner. He is a professor at the School of Medicine and the University of Toronto. He is originally from Barcelona. Professor Muntaner is concerned that Catalan separation will come at the expense of an already weak welfare state. Alfred and Carles, welcome to The Stream. Carles Muntaner (CM): Welcome, I'm actually in the School of Medicine and also Public Health, Thank you. LF: Thank you for the clarification. Alfred Bosch I want to start with you. Since 2006, the Catalan region has been declared by the central government as a nation within Spain. It also has judicial autonomy, it has language rights... So, why do they want out? Is it just economics? Alfred Bosch (AB): No, it's not just about money. By the way, hello Lisa, goodnight, it's dark, pitch night, here in Barcelona right now. But no, it's not just about money. Although money is in the picture as well. It happens almost all the time, right. There is a sense of grievance, out of the amount of taxes that Catalans pay to Spain, only half of that ever returns for hospitals, welfare in general services, schools, trains, etc. So, we believe that we have been subsidizing Spain for 35 years, in a figure which would be more or less double of what Europe has also given to Spain for development over the last 35 years. So, double of cohesion funds, of all the money that Europe has been injecting into the Spanish economy for developing it. We have given it internally to the Spanish state. We have paid the bills, so now we think it's unfair that this would go on forever and ever. Especially when we feel the pinch of the crisis. And that is also something which encourages us to ask for more freedom and for more responsibility. LF: So Clara, that sounds like an economic argument. Is that what is at the root of the discontent here? CP: I think that the economic discontent is a symptom. It's not the illness. The illness is the lack of the Spanish state to the lack of ability to organize politically as a [??] federal state. But it's true that the sympton is this fiscal deficit that shows that you know, in from the central government, they are the ones that collect the taxes and they return the taxes to the autonomous communities, with the exception of the Basque Country and Navarre. So, you know, this control of monies turns out in a lot of discretionality. The government can spend this money, the central government can spend this money the way they wish and it turns out that they, for some reason, the history is not that they have wished to spend it in, you know, in infrastructure and other expenses in Catalonia. This is more visible now because you know, we're undergoing severe budget cuts. And you know, the people of Catalonia and in Spain are both, everywhere, are feeling these cuts. And this is extremely painful. And people are more aware of it, but this is not, you know the only reason for Catalan claims for independence. I mean, it's mostly a political problem that has an economic side. MB: Well, speaking of feeling that pain, Carles, we asked our community what they thought of this issue. Francesca, on Twitter, says, "I am a Catalan and my culture and identity have nothing to do with the Spanish ones, and I want the World to acknowledge it." On the other side, you have the economic argument from Emyr, who says "The economic argument only reinforces the historic, cultural, and linguistic reasons for secession from Spain." CM: I think they are correct. It's a combination of cultural, economic, and political institutions. And as we know, it goes way back. From centuries, and our, for example, National Day which is the 11th of September, is a day that commemmorates the fight of Catalans which they lost with the Borbon Kings, which now rule in Spain, as you know. So, many Catalans not only have a national identity that is Catalan but also reject the monarchy and they are increasingly republican. And for a while during the Spanish Civil War, actually Catalonia was independent. However. I would like to say that that being said, my point and discussion is that I don't trust Convergència i Unió, which is a right wing government now in Catalonia and has been for about 25 years since the democracy was reinstate in Catalonia, in charge, to go ahead with this agenda. I think they are not sincere, it is a way of channeling the discontent in part to the economic crisis. And that I don't think even that looking at the ruling class of Catalonia from the last century, really they are independentist actually. I think they are more like federalists, because of their ties with Spain. So that's a tool that they're trying to use to bargain with Spain, right? But the stakes are very high, because now they have a huge deficit, so that's why they are willing to go an extra step. But I don't really trust Mas to be independentist at all. LF: Alfred, does Catalonia have a right to separate from Spain? AB: Sorry, I can't hear you well. If it has something? Separate? LF: Does Catalonia have a right to separate from Spain? AB: Well, we are a nation. So, in that sense, with a language, with a history. We even have our own charter, which says that we are a nation, and that was voted and approved by the Catalan Parliament and by the Catalans themselves. So we believe, yes, we have the same right that any other nation. AB: We are not more than any other country, but we're not less than any other country. So, the demonstration, which we saw the other day, and you're probably seeing in shots all the time was basically about this. About nationhood, about the right to decide, about democracy about democratic rights and the right to vote on our future. Now we think we should be independent. Let's hold the vote. That's all we're saying. Let's hold the vote. That's what any democracy in the world would do. But that's what the Spanish government will not allow. And that's what our struggle right now is about. We are trying to follow the democratic path and if we decide to be independent we have all the right in the world to be so. That's what you call free determination. And the US knows a lot about this, and most of the countries in the world, in the modern world, know perfectly well what that means, because 150 of modern countries in the world have become independent in the last century. MB: Well, Clara, a right to free determination, but Violeta says, "At the end, what Catalans are asking for is a referendum, that will show people's will... which is illegal in "democratic" Spain." And I would like to add that Violeta is one of the people that brought this story first to our attention and asked us to cover it. So, would a referendum even be allowed? CP: Well, it's true that it's not legal under the present constitution. But this only shows that the present constitution is not the tool we need right now for democracy in Spain. It doesn't mean that this is not a right. I mean, it's clear that when a people, you know, expresses its will to vote and decide, there is no democratic constitution that can stop that. MB: And speaking of voting to decide there is a video comment here, Carles, have a listen to this. Miquel Strubell: I'm Miquel Strubell, I live in Barcelona and my family and I went to the huge march for independence organized by the Catalan National Assembly. For centuries Catalans have been ?? masters at losing wars, against kings and generals who want us to be like our Castillian neighbors. But only in freedom do we think we can survive as a people. Our tradition is both European and democratic, and studies show a clear majority willing to vote yes in a referendum on Independence. LF: So Carles, he says a clear majority is willing to vote yes. CM: I know Miquel, I was in classes with him many years ago when I was at the Autonomous. Well, that's their position of national is the historical argument, but I think that this even if one can agree with everything he said, the short time reality is the beneficiary of this march in my view, unfortunately, would be Mas. And what would Mas represent? What is his political objective? In my view, his objective is not independence, it is continuing to use the goal of his party as a party that plays into the interclassist idea that we are all a single group, to bargain with Spain. But at the same time, the reforms and the cuts that he is doing are very much neoliberal. And in the past 23 years, he's voted all the time with the neofascist PP. I mean I call them neofascist because they come from Franco and they are stuffed with people who built the careers under Franco, even their founder, right? I think, here that this is a problem for those that in a very, I would say, idealistic way, have let themselves be led by Convergència i Unió. LF: Clara, I'm curious. Do you think the hopes for economic recovery are going to be enhanced if Catalania separates from Spain? CP: I think these are two different things. I mean the short term recovery of our economic situation it's not directly linked to independence. It's not clear that there is a short term recovery, anyway. But you know it's, we're not thinking of separation, because there is a hope that this will solve the economic crisis. I think these are two things that have coincided in time and it's not by chance that they have coincided in time, but at this point, the Spanish government, with the Catalan government, have to work out policies to help to get through the crisis. And at the same time at the same time, they have to work out a political situation to this claim for independence These are two different things, both have to be dealt with. Both at the same time. Both are important. You know, trying to say one is more important than the other, is not going to get us out of the hole. And you know, these are related things. And we have many problems and we have to face them all. LF: Alfred, who if anybody, has laid out a platform for Catalonia's independence? AB: Well, we have, with my own party and coalition. So, yes, we have a plan. We think that obviously, the politicians now in power, like Carles Muntaner was saying, have their own agenda, even perhaps their own hidden agenda, but the fact is that last Tuesday millions of Catalans went to the streets asking for freedom, and asking for dignity, and asking for nationhood. So, we'll try to respond to that. We'll try to respond to that because obviously there is an economic background, and we feel that the Fall of Spain, this Spanish Fall, is also giving out Catalan Spring. Out of a Spanish Fall, comes out a Catalan Spring. Now this Catalan Spring which you might understand in different ways, is the making of a nation. And that's a big thing. That's a big thing, which affects economics, it affects morale, it affects politics, it affects everything. We think that's a positive driving force. It's not negative. We're not hating anybody. We don't have any particular enemy. We're just trying to build something new. A new nation in the making. And that also can give hopes to most Catalan people that through this new energy and this common goal we can reach a different economic situation, our welfare can improve, etc. etc. We think this is a whole project of renewal and of hope for the future. CP: No, that's not true. CP: It's not that 49.9% oppose it. The polls show that 51% would vote yes in a referendum and 21% would vote no. The other 30, 20 something percent are thinking about it. So these are important people. Well, everybody is important. But these people that are thinking about it, one side and the other, have to convince them. Nevertheless, we'll see who, we need to know who is the majority. But it is not true that there are 49% against. MB: Well, one of the people that are still thinking about it is Johnson who says, "Autonomy is not a solution. It will make Catalonia more vulnerable" And I would like to direct this to you Carles, there's a video comment. Have a listen. Robert Trainen: Hello. My name is Dr. Robert Trainen. I live in Paris, France. My question would be "Why not, within the structure of the European Union, allow regions, such as Catalonia to become independent regions with voting rights within the European Union. I feel that it would be safer for everyone and everyone could express their national feelings. Thank you." MB: So, presumably for this to happen, if Catalonia was to become independent, it would have to reapply for membership into the EU. Correct? CP: No, it's not correct. MB: Let's give Carles a chance to respond and you can jump in. LF: Clara, I want you to jump in because you had an immediate reaction to this. CP: Yes, it's not true that, it's unclear what the European Union would do. Would Catalonia need to reapply? Would we be excluded, you know this isn't clear. LF: Wouldn't the member nations have to vote though to allow Catalonia in? CP: —as citizens of the Union. We have our rights as such. Therefore, we will defend them if necessary. The reasonable thing is that these things are negotiated in a cooperative way. We need to get Europe out of the crisis. We need to get Europe forward. And you know the creation of a new state is nothing against Europe. On the contrary, I totally agree with Mr. Bosch. This is a positive movement. I believe very firmly that a Catalan state in the southern edge of Europe would contribute a lot to stability and to prosperity. LF: Speaking of Mr. Bosch, I know Alfred that you want to jump in, so jump in! AB: Yes, please Lisa, let me just make a comparison. It's true we are European citizens, we have the citizenship of Europe and now can they deprive us of that? Let's make the comparison with US citizens. Imagine the people in northern California decide to decide from California and to have their own state. Do you think the US would kick them out as US American citizens? I think that parallel can give you an answer. Would such a government, federal government, or the European government, dare to kick out people who up to then have been citizens of Europe? In the remotest of my imagination I can't believe they would dare to do that. It would go against Europe, against democratic principles, against what Europe actually means, what has been in the foundation, the creation of the European Union itself. because she's got some other story leads that we're following. MB: It's been one year since protestors fed up with social inequalities took to Wall Street for what would become the "Occupy Movement". To mark the anniversary, activists like Molly Crabapple, who retweeted this picture, returned to the New York streets using the hashtag #s17. Crabapple, a political cartoonist, was detained by police, but managed to livetweet her arrest. Everyone in the van, was just yanked off the sidewalk. Police ordered to just start grabbing. She added, "While we were being put into van a suit grinned and told the cops "nice work"" The hashtag #freeMollyCrabapple soon garnered more than a thousand mentions. MB: Our next lede looks at a hashtag that turned into worldwide, but probably not for the reasons that its originators intended. Newsweek Magazine tweeted this image of its latest cover with an article by Somali born Dutch politician Ayaan Hirsi Ali, who has previously generated controversy for her criticism of Islam. Newsweek asked readers to discuss the story using their headline #MuslimRage as a hashtag. Angry netizens did just that using humor and sarcasm to critique the magazine: "Imagine the Newsweek cover with any other minority. would the ignorant and inflammatory stereotyping pass the editorial board?" Ayesha asks. LF: All right, stay with us because the post show is next. It's streamed at AlJazeera.com And if you're going to join us for the post show, I want you think about this: Is it possible for Spain and Catalonia to unify and work together as one nation and not have Catalonia separate? So, tweet us your thoughts on that right now and on Tuesday, we're going to talk about sexual violence against Native American women. Did you know that one in three native women report being a victim? We're going to try to get to the bottom of why their attackers are not being prosecuted. Til then, we'll see you online. LF: Welcome back to The Stream's online post show. We're going to pick up right where we left off. We're talking about is it possible for Catalonia to remain part of Spain and for everybody to get their piece of the pie, everything that everybody wants. I want to read you something, Clara. Because there have been suggestions that this should be talked through. This is something, part of a statement from Spain's vice-prime-minister reacting to the President of Catalonia's defense of a Catalan state, and she says, "From the government, we appeal to moderation and responsiblity. In moments of economic crisis, stability and confidence are a must. Right now it is a moment to face the crisis and we all will get ahead better, all together, in an atmosphere of collaboration." What do you think about that statement? Is she right? CP: I couldn't agree more. We need to be moderate and we need to generate confidence and we need to work out together, but this doesn't mean that we cannot do it as two different states. I firmly believe that Spain and Catalonia have to work out together to get over you know, to contribute to a new prosperity in Europe. This doesn't mean that they are giving any answer for dialogue. You know, this is an empty statement coming from the vice-president. This is, you know, sending empty statements after a demonstration of a million and a half, almost two million people. This is not moderate. This is not reponsible. CM: The government, now independentist, and the PP, the Francoist party that rules Spain are very much in agreement with the basics, right? They both want to get rid of the welfare state that was so hardly won, or the remnants of it that Spaniards have, like privatizing healthcare ?? education, and so on. So in that sense, I think that they work very well together. and they have been working very well in the last 30 years by supporting each other in the Spanish Parliament, and in fact, Convergència, for all its concern about Catalan people, were very much likely to support the PP in major legislations. Now, how independence plays into that? I think it's possible, but it has to be through the acknowlegement of the universal right of self determination of people, and a different kind of majority in Catalonia. One that would link together one that would say progressive forces center left, like the Parti Québécois, here in Quebec, for example. Definitely not with the neoliberal Convergència i Unió. MB: Well, Alfred, there's a tweet here from Global Voices Català, that says the fiscal crisis is a separate but parallel issue to #Catalonia's status as a nation" And it should be noted that Global Voices has done a lot on this issue, on their blog site, GlobalVoices.com, but I'd like you to weigh in on that. Is this separate from other issues? And does that all strengthen this cause? AB: despite the fact, no solution has been found. LF: I'm sorry to interrupt you, I'm just curious. How confident are you that Catalonia can remain economically robust if it separates from Spain, given that a lot of major industry that is in Catalonia may not be comfortable being in a small state, away from Spain. Yeah, well that's what I'm arguing about. It's a sound economy. It's 30% of exports and of imports within Spain, so Catalonia would not have any problem to have a sound, workable economy. The problem would probably be a Spanish problem. So right now, Catalonia could work as well, or as bad as countries like Holland, Denmark, Switzerland with similar populations, similar economies, and it's very diversified also, so we don't see a problem there. The main problem, the real problem, down the line, the problem is that Spain doesn't allow Catalans to vote about their future. And that's it. That's the end of the line. If Spain lets Catalans vote about their future, as any mature democracy would do, then Catalans would decide by themselves. Anybody who doesn't understand that point, that self-determination is the matter, it's the question, probably has a problem understanding democracy itself. MB: Well, Carles. Alfred mentioned "sound economy", there are members of our community that disagree with that. This is Clara, and she says, "If Catalonia was to become independent, the richer would get richer. Privatization of all public services would leave people stranded. We are scared." Has, is there an argument to say there has been mismanagement on the part of Catalonian officials. CM: In the last 30 years that we've had Convergència i Unió, we, how Catalonia has public spending is proportional with GDP, say compare to Sweden that is 27%, Spain is 17.5%. It's even lower than Spain as a whole, and in fact in healthcare, if we get to talking about data from around 2000 before the crisis, Sweden has 8% of health expenditure as proportion to GDP, and Catalonia it's not even 5%. It's below Spain. So, this so-called independentist party that rules Catalonia has done everything possible to erode the well-being of Catalonia during those years. That's my point. LF: So Clara, Alfred Bosch was making the point that Catalonia is very economically robust. So given that, you can understand why Spain wouldn't want to lose its third largest economic hub. The logical extension of that is what is Spain doing to keep Catalonia happy? CP: That's exactly the point. Spain has had 30 years of democracy to work this out, and it seems that we haven't worked it out. So, there were attempts to reform the Catalan Estatut. Those were you know, ended in catastrophic failure and so there is not much else we can try. Of course we can continue talking, but we cannot continue talking without making progress forever and that is what the average citizen in Catalonia is discovering. That there is no way we can just stay as we are. We need to move forward with that. That said, it's true that in the short run, Catalonia's separation from Spain may harm the Spanish economy. That's certainly true in the short run. In the medium term, I don't see why this should be so bad. You know Spain desperately needs to reform itself, desperately needs to modernize itself in terms of its public administration, Spain and Catalonia, both. You know, we need to modernize ourself in our institutions and in our public administration, our judicial system is not a proper judicial system for a democratic modern country. So all these things, will get a much better chance if we get into a new transition. Spain gets started over, and Catalonia as well. LF: All right, our thanks to Carla Ponsatí, Alfred Bosch, and Carles Muntaner for joining us today. LF: On Tuesday we're going to talk about sexual violence against Native American women. One in three Native American woment reports being a victim. So the question is, why is the legal system failing to prosecute their attackers? Send us your thoughts and your comments on that. Lisa Fletcher (LF): Hola, sóc Lisa Fletcher i això és The Stream. Europa és a punt de donar la benvinguda a un nou estat? Anem cap a Espanya per examinar el moviment independentista català, cada cop més popular. Com sempre, la nostra productora digital, Malika Bilal ens informarà de les respostes que rebem durant el programa, Malika, estem veient un suport en línia important per la separació de Catalunya d'Espanya. Quines respostes estàs veient? LF: A la dreta de la Malika, tenim a la Clara Ponsatí, profesora d'economia a la Universitat de Georgetown. És també directora de l'Institut d'Anàlisi Econòmica a Barcelona. LF: Clara, gràcies per venir. Clara Ponsatí (CP): Gràcies per la invitació. LF: Les banderes catalanes ompliren els carrers de Barcelona durant la celebració del Dia Nacional la setmana passada, en la marxa pro-independència més important de la història de Catalunya. No sempre ha estat així. En el passat, les marxes independentistes no aplegaven més de 50,000 persones. Però enguany, 1.5 milions van manifestar-se pacíficament demanant que Catalunya fos un nou estat independent d'Europa. La majoria de catalans havien, tradicionalment, recolzat més autonomia en comptes de la independència però les darreres enquestes mostren que la meitat de Catalunya recolza la secessió d'Espanya. Vídeo de CCN: Catalunya vol ser el nou estat d'Europa perquè volem fe exactament el mateix que la resta de països europeus. Volem fer les nostres lleis, defensar els nostres interessos a Europa. Volem defensar la nostra llengua i cultura, que són diferents de l'espanyol. I volem administrar els nostres impostos i els nostres diners, i decidir quines inversions són millors per al nostre país. LF: Els catalans diuen que la seva comunitat paga més impostos a Espanya del que rep en retorn. També es queixen de les poques inversions en infraestructura a la regió. I el 20 de setembre, en pocs dies, Artur Mas, el president català, es reunirà amb el president espanyol, per presentar el pacte fiscal que donaria a la comunitat poders per recaptar impostos i decidir quin percentatge s'hauria de donar al govern central. Si la negociació fracassa, Mas diu que la via cap a la llibertat de Catalunya quedarà oberta. LF: Aconseguirà Catalunya de separar-se d'Espanya? Tenen dret a la independència i a la autodeterminació? O s'estan desentenent d'Espanya ara que els temps són difícils? Per ajudar-nos a contestar algunes d'aquestes qüestions, ens acompanya Alfred Bosch des de Barcelona. Ell és un polític català i membre del parlament espanyol. Va ser el portaveu de la plataforma Barcelona Decideix que organitzà la consulta independentista el 2011. També ens acompanya Carles Muntaner des de Toronto. Ell és professor a la Facultat de Medicina de la Universitat de Toronto. És originalment de Barcelona. El professor Muntaner està preocupat que la separació de Catalunya vindrà a canvi d'un estat del benestar ja molt debilitat. LF: Alfred i Carles, benvinguts a The Stream. Carles Muntaner (CM): Gràcies, sóc professor de la Facultat de Medicina i també Seguretat Social. LF: Gràcies. Gràcies per l'aclariment. Alfred Bosch, m'agradaria començar per vostè. Des del 2006, Catalunya ha estat declarada pel govern central com una nació dins d'Espanya. Té, a més, autonomia judicial, drets lingüístics... Per què volen separar-se? És un tema sols econòmic? Alfred Bosch (AB): No, no sols és una qüestió de diners. Per cert, hola Lisa, bona nit, és fosc, negra nit, aquí a Barcelona ara mateix. No, no es tracta sols dels diners. Malgrat que els diners són part de la qüestió també. Passa quasi sempre. Hi ha una sensació de greuge, pensa que del total d'impostos que els catalans paguen a Espanya, sols la meitat torna per a hospitals, assistència social, serveis, escoles, trens, etc. Per tant, creiem que hem estat subvencionant Espanya durant 35 anys, en una quantitat que seria aproximadamente el doble del que Europa ha donat a Espanya per al seu desenvolupament els darrers 35 anys. És a dir, el doble dels fons de cohesió, de tots els diners que Europa ha estat injectant a l'economia espanyola per al seu desenvolupament. Nosaltres ho hem donat internament a l'estat espanyol. Hem pagat les factures, i ara pensem que és injust que això continuï per sempre. Especialment quan patim la pressió de la crisi. I això encoratja a demanar més llibertat i més responsabilitat. LF: Clara, em sona a argument econòmic. És aquest el motiu del descontentament? CP: Crec que el descontentament econòmic és un símptoma. No és l'enfermetat. L'enfermetat és la manca d'abilitat de l'estat espanyol d'organitzar-se políticament com un estat federal. Però, és cert que el símptoma és el dèficit fiscal que mostra que, el govern central, ells són els que recapten els impostos i els retornen a les comunitat autònomes, amb l'excepció del País Basc i de Navarra. I, aquest control dels impostos resulta en molta discrecionalitat. El govern pot gastar-se aquests diners, el govern central pot gastar aquests diners com li sembli i, resulta que, per alguna raó, la història és que no se'ls gasten en infraestructura i altres despeses a Catalunya. Això és molt més visible ara ja que estem en un procés de severes retallades. I la gent de Catalunya i Espanya està patint, arreu, aquestes retallades. I és extremadament dolorós. I la gent n'és molt més conscient ara, però no és l'única raó per a reclamar la independència. El que vull dir és que és principalment un problema polític que té una component econòmica. MB: Bé, parlant del patiment, Carles, hem preguntat a la nostra comunitat què en pensen d'aquesta qüestió. La Francesca, al Twitter, diu "Sóc catalana i la meva cultura i identitat no tenen res a veure amb Espanya, i vull que el món ho reconegui." Per altra banda, hi ha l'argument econòmic d'Emyr que diu "L'argument econòmic sols reforça les raons històriques, culturals i lingüístiques per la secessió d'Espanya." MB: Carles, ens agradaria saber si penses que totes aquestes raons juntes són suficients. CM: Crec que tenen raò. És una combinació de qüestions culturals, econòmiques i polítiques. I sabem, que fa anys que dura. Segles i, per exemple, el nostre Dia Nacional que és el 11 de setembre, és un dia que commemora la lluita dels catalans que perderen contra el reis Borbons, que encara regnen a Espanya. Per tant, molts catalans no sols tenen una identitat nacional sinó que també rebutgen la monarquia i són cada vegada més republicans. De fet, durant un període de la Guerra Civil, Catalunya fou independent. De totes maneres, voldria afegir que el meu argument és que no confio en CiU, que és un partit de dretes que ostenta ara el govern a Catalunya i ha estat durant quasi 25 anys des del restabliment de la democràcia a Catalunya, al càrrec, per fer avançar aquesta agenda. No crec que siguin sincers, és una manera de canalitzar en part el descontentament a la crisi econòmica. I no crec que la classe dirigent de Catalunya, des del segle passat, sigui realment independentista. Crec que són més federalistes, degut als seus lligams amb Espanya. És, per tant, una eina que usen en la seva negociació amb Espanya. Però hi ha molt en joc, perquè ara tenen un dèficit molt alt, i per això ara estan disposats a anar una passa més enllà. Però no em crec que Mas sigui independentista. LF: Alfred, Catalunya té el dret de separar-se d'Espanya? AB: Perdona, no he sentit bé. Té alguna cosa? Separar? LF: Catalunya té el dret de separar-se d'Espanya? AB: Bé, som una nació. Amb una llengua, una història. Tenim fins i tot el nostre estatut, que diu que som una nació, i que va ser votat i aprovat pel parlament català i pels catalans. Per tant creiem que sí, tenim el mateix dret que qualsevol altra nació. AB: No som més que cap altre país, però tampoc som menys que cap altre país. La manifestació que vam veure l'altre dia i les fotografies que veieu a totes hores era per això: del sentiment de nació, el dret de decidir, la democràcia, dels drets democràtics i del dret de decidir el nostre futur. Ara creiem que hem de ser independents. Votem-ho. Això és tot el que dic. Votem. Això és el que qualsevol democràcia del món faria. Però el govern espanyol no ho permet. I aquesta és la nostra lluita ara mateix. Estem intentant seguir un camí democràtic i si decidim de ser independents tenim tot el dret del món de ser-ho. Això és el que s'anomena lliure determinació. I els Estats Units ho coneixen molt bé, i la majoria de països del món, del món modern, saben perfectament de què parlem, ja que 150 dels països moderns del món han esdevingut independents el darrer segle. MB: Clara, el dret a la lliure determinació, però la Violeta diu, "Finalment, el que els catalans demanen és un referendum que mostrarà la voluntat de la gent... que és il.legal en l'Espanya "democràtica."" I voldria destacar que la Violeta és una de les persones que ens van avisar d'aquesta història i va demanar-nos que n'informéssim. Per tant, es permetrà un referendum? CP: Bé, és cert que la constitució actual no ho permet. Però això sols mostra que aquesta constitució no és l'eina que necessitem ara mateix per la democràcia a Espanya. No significa que no és un dret. Vull dir que, és clar que quan el poble expressa la seva voluntat i vota, no hi ha constitució democràtica que ho pugui aturar. MB: I parlant de votar per decidir, Carles, escolta aquest vídeo. Miquel Strubell: Hola, sóc Miquel Strubell, visc a Barcelona i jo i la meva família anàrem a la gran marxa per la independència organitzada per l'Assemblea Nacional Catalana. Durant segles, els catalans hem estat mestres de perdre guerres, contra reis i generals que volien que fóssim com els nostres veïns castellans. Però creiem que només en llibertat podem sobreviure com a poble. La nostra tradició és europea i democràtica, i els sondejos mostren una clara majoria disposada a votar sí en un referendum per la independència. LF: Carles, estem sentint que hi ha una clara majoria pel sí. CM: Conec al Miquel. Vaig anar a classes amb ell fa força anys a l'Autònoma. Bé, la seva posició es basa en l'argument històric, però encara que un coincideixi en tot el que ha dit, la realitat a curt termini és que el beneficiari d'aquesta marxa des del meu punt de vista és, malauradament, Mas. I què representa Mas? Quin és el seu objectiu? Des del meu punt de vista, el seu objectiu no és la independència sinó continuar usant l'objectiu del seu partit que juga amb la idea interclassista que tots som un grup, per a negociar amb Espanya. Però alhora, les reformes i retallades que està fent són molt neoliberals. I en els darrers 23 anys, ha votat amb els neofeixistes del PP. I els anomeno neofeixistes perquè vénen de Franco i tenen moltes persones que van fer carrera durant la dictadura de Franco, fins i tot el seu fundador, s'entén? Crec, que aquest és un problema pels que, jo diria, d'una manera idealista, s'han deixat liderar per CiU. LF: Clara, tinc curiositat. Creus que l'esperança de recuperació econòmica millorarà si Catalunya se separa d'Espanya? CP: Crec que són dos temes diferents. Primer la recuperació a curt termini de la nostra situació econòmica no està directament lligada amb la independència. De totes maneres, tampoc sembla que hi haurà una recuperació a curt termini. Però, no estem pensant en la separació perquè hi hagi una esperança que això solucionarà la crisi econòmica. Crec que aquests dos temes han coincidit en el temps i no és per casualitat que hagin coincidit en el temps, però ara, el govern espanyol, amb el govern català, han de desenvolupar polítiques per superar la crisi, I al mateix temps han de solventar una situació política que ve d'aquest desig d'independència Són dues coses diferents, però s'han d'afrontar. A la vegada. Ambdues són importants. Intentar argumentar que una és més important que l'altra, no ens farà sortir del pou. I com saps, són temes relacionats. I tenim molts problemes i els hem d'afrontar tots. LF: Alfred, qui organitza la plataforma per la independència de Catalunya? AB: Bé, nosaltres ho fem, des del meu partit i coalició. Tenim un pla. Creiem que, òbviament, els polítics ara governant, com ha dit Carles Muntaner, tenen la seva agenda, potser, fins i tot, una agenda secreta, però el fet és que el passat dimarts, milions de catalans van manifestar-se pels carrers demanant llibertat, dignitat i demanant esdevenir una nació. Mirarem de repondre a això. Mirarem de respondre-hi perquè, òbviament, hi ha un fons econòmic, i creiem que aquesta tardor espanyola, està engegant una primavera catalana. D'una tardor espanyola en surt una primavera catalana. Aquesta primavera catalana que es pot entendre de moltes maneres, és la formació d'una nació. I això és una gran cosa. És molt gran, afecta l'economia, la moral, la política. Ho afecta tot. Creiem que és una força positiva. No és negativa. No odiem a ningú. No tenim cap enemic particular. Sols volem construir quelcom nou. Una nova nació en construcció. I això pot donar esperança a molts catalans que, a través d'aquesta nova energia i aquest objectiu comú, podem assolir una situació econòmica diferent, millorar el nostre sistema del benestar, etc. Creiem que és un project global de renovació i esperança pel futur. CP: No, això no és cert. CP: No és cert que el 49.9% s'hi oposi. Les enquestes mostren un 51% a favor en un referendum i un 21% que votaria no. El 30% restant encara s'ho estan pensant. Aquest grup és molt important. Bé, tothom és important. Però aquests que s'ho estan pensant, un costat i l'altre, els han de convèncer. De totes maneres, ja veurem qui, hem de saber qui és la majoria. Però no és cert que hi hagi un 49% en contra. MB: Bé, una de les persones que encara s'ho estan pensant és en Johnson que diu, "Autonomia no és la solució, Farà Catalunya més vulnerable" I voldria dirigir aquesta al Carles. Mira aquest vídeo. Robert Trainen: Hola, el meu nom és Dr. Robert Trainen. Visc a París, França. La meva pregunta és "Per què no es permet, dins de l'estructura de la Unió Europea, que regions com Catalunya puguin esdevenir regions independents amb dret de vot dins de la Unió? Crec que seria el més segur per a tothom i tothom podria expressar els seus sentiments nacionals. Gràcies." MB: Però, perquè això pugués passar, si Catalunya esdevingués independent, hauria de solicitar el reingrés a la Unió Europea, oi? CP: No, no és cert. MB: Donem a Carles l'ocasió de respondre i després pots replicar. LF: Clara, m'agradaria escoltar la teva opinió ja que has tingut una reacció immediata abans. CP: Sí, no és cert, bé... no se sap el que farà la Unió Europea. Catalunya hauria de demanar el reingrés? Ens exclourien? Saps... no està clar. LF: Haurien de votar les nacions membres per a permetre l'entrada de Catalunya? CP: som ciutadans de la Unió. Tenim els nostres drets com a tals. I els defensarem si fos necessari. El que seria raonable és que aquestes coses es negociessin d'una manera cooperadora. Hem de treure Europa de la crisi. Hem de fer avançar a Europa. I la creació d'un nou estat no va en contra d'Europa. Al contrari, coincideixo totalment amb el Sr. Bosch: Aquest és un moviment positiu. Crec fermament que un estat català al sud d'Europa contribuiria de forma important a la seva estabilitat i prosperitat. LF: Parlant del Sr. Bosch, sé que vol intervenir. Endavant! AB: Sí, permete'm Lisa de fer una comparació. És cert que som ciutadans europeus. Tenim la ciutadania europea i ara ens la treuran? Fem una comparació amb els ciutadans americans. Imagina que la gent del nord de Califòrnia decideixen de separar-se de Califòrnia i tenir el seu propi estat. Creieu que els EUA els traurien la seva ciutadania americana? Crec que aquest paral.lel us pot donar la resposta. S'atreviria el govern federal, o el govern europeu, de fer fora a unes persones que fins llavors han estat ciutadans d'Europa? No m'ho puc creure, ni remotament, que s'atrevirien a fer-ho. Aniria en contra d'Europa, en contra dels principis democràtics, en contra del que significa Europa, del que han estat els seus fonaments, la creació de la Unió Europea en si mateixa. LF: D'acord. Els prego que s'esperin un moment perquè ara continuarem la conversa amb el Post Show via el nostre web. I voldria saber si algun dels nostre convidats creuen que és possible que Espanya i Catalunya puguin resoldre conjuntament aquest conflicte internament. Però abans que arribem al Post Show, parlem un moment amb Malika Perquè ella té altres històries que estem seguint. MB: Ara fa un any que els manifestants, cansats de les desigualtats socials, ocuparen Wall Street en el que esdevingué el moviment "Occupy Wall Street". Per marcar l'aniversari, activistes com la Molly Crabapple, que ens ha piulat aquesta foto, han tornat als carrers de Nova York usant l'etiqueta #s17. Crabapple, un dibuixant polític, ha estat detinguda però, tot i així, ha enviat una piulada en directe del seu arrest. Tots a la furgoneta, m'han tret de la vorera. La policia ens ha ordenat d'anar recollint. Ha afegit: "Quan ens posaven al furgó, un home ben vestit ha dit a la policia "bona feina"" L'etiqueta #freeMollyCrabapple ha generat tot seguit més de mil mencions. MB: La següent notícia ens porta a una etiqueta que ha donat la volta al món, segurament no per les raons dels qui la van començar. La revista Newseweek piula aquesta imatge de la seva darrera portada amb un article del polític holandès nascut a Somàlia Ayaan Hirsi Ali, que en el passat ja havia generat controvèrsia per les seves crítiques a l'Islam. Newsweek ha demanat als seus lectors de parlar-ne usant l'etiqueta #MuslimRage. Un grup de ciutadans enfadats ho han fet, usant humor i sarcasme per a criticar la revista: "Imagina't aquesta portada referint-se a qualsevol altra minoria. el consell editorial permetria aquests estereotips ignorants i ofensius?" es pregunta l'Ayesha. LF: Bé, seguim amb el Post Show. En directe a AlJazeera.com I, si ens acompanyaràs en el Post Show, voldria que pensessis el següent: És possible que Espanya i Catalunya s'uneixin i treballin juntes com una nació i evitar que Catalunya se separi? Envieu-nos els vostres tuits ara mateix. LF: Dimarts, parlarem de la violència sexual contra dones natives americanes. Sabíeu que una de cada tres natives denuncien que són víctimes? Intentarem entendre perquè no es persegueixen als seus atacants. Fins llavors, us veurem al web. LF: Benvinguts al Post show de The Stream. Continuarem just a on ho hem deixat. Estem parlant de si és possible que Catalunya continuï com a part d'Espanya i com repartir el pastís entre tots, cadascú el que vulgui, Clara, voldria llegir-te una cosa. Ja que s'ha suggerit que calia anar al fons del tema. És part de la declaració de la vice-presidenta, reaccionant a la defensa del President de Catalunya d'un Estat Català, i ella diu: "Per al govern, demanem moderació i responsabilitat. En moments de crisi econòmica, l'estabilitat i confiança són fonamentals. Ara és el moment d'afrontar la crisi per avançar millor, junts, en una atmosfera de col.laboració." Què en pensa d'aquesta declaració? Té raó? CP: Hi estic d'acord. Hem de ser moderats i generar confiança i hem de treballar junts, però això no significa que no ho podem fer des de dos estats diferents. Crec que Espanya i Catalunya han de treballar juntes per a superar i contribuir a una nova prosperitat a Europa. Però no estan donant cap resposta per al diàleg. Aquesta és una declaració buida venint de la vice-presidenta. Això és, enviar declaracions buides després d'una manifestació de un milió i mig, de quasi dos milions. Això no és moderat. No és responsable. CM: El govern, ara independentista, i el PP, el partit franquista que mana a Espanya estan d'acord en els principis, oi? Els dos volen eliminar l'estat del benestar que ens va costar tant d'aconseguir, o les restes que en queden, privatitzant l'atenció mèdica l'educació, etc. Crec que, en aquest sentit, treballen molt bé junts i ells han estat treballant molt bé durant els darrers 30 anys ajudant-se entre ells al Parlament Espanyol i, de fet, CiU, malgrat la seva preocupació pels catalans, van donar el seu suport en les lleis més importants del PP. Ara, com entra la independència en tot això? Crec que és possible, però hi ha d'haver un reconeixament del dret universal a l'autodeterminació i una majoria diferent a Catalunya. Una que enllaci les forces progressistes del centre esquerra, com el Parti Quebecois, aquí al Quebec, per exemple. Definitivament no amb la neoliberal CiU. MB: Bé Alfred, hi ha una piulada del Global Voices Català, que diu que la crisi fiscal és separat però paral.lel a la qüestió de l'estatus de Catalunya com a nació. I hem de destacar que Global Voices ha fet molt en aquest tema, a la seva web, GlobalVoices.com, però m'agradaria puntualitzar. És un tema separat? I, ajuda a enfortir la causa? AB: malgrat això, no s'ha trobat cap solució. LF: Disculpi que l'interrompi, tinc curiositat. Creu que Catalunya continuarà forta econòmicament si se separa d'Espanya, tenint en compte que una gran part de la indústria catalana pot no estar còmode en ser un petit estat, lluny d'Espanya? AB: Bé, d'això és del que parlo. És una economia sòlida. Té un 30% d'exportacions i importacions amb Espanya, Catalunya no tindria cap problema per a tenir una economia bona i funcional. El problema seria per a Espanya. Així, ara, Catalunya podria funcionar tan bé o malament com països com Holanda, Dinamarca, Suïssa, amb poblacions similars, economies similars. I és molt diversificada, no hi veig cap problema. El problema principal, el real, és que Espanya no permeti als catalans votar el seu futur. Això és tot. Si Espanya deixa als catalans votar el seu futur, com qualsevol democràcia madura, llavors els catalans decidiran per ells mateixos. Qui no entengui que aquesta és la qüestió, que l'autodeterminació és el tema, la qüestió, probablement té un problema entenent què és una democràcia. MB: Bé, Carles. L'Alfred ha mencionat "economia sòlida", hi ha membres de la nostra comunitat que discrepen. La Clara ens diu "si Catalunya es fa independent, els rics seran més rics. La privatització de tots els serveis públics; deixaran a la població penjada. Estem espantats." Hi ha un argument que hi ha hagut una mala gestió per part dels governs catalans? CM: En els darrers 30 anys amb CiU, veiem que a Catalunya, la despesa pública en comparació amb el PIB és, comparada amb Suècia que és del 27% i Espanya del 17,5%. És fins i tot més baixa que la d'Espanya. I, de fet, en sanitat, si mirem dades del 2000, abans de la crisi, Suècia tenia el 8% del PIB despesa en salut i a Catalunya no arriba al 5%. Està per sota d'Espanya. Així, aquest partit independentista que mana a Catalunya ha fet tot el possible per erosionar el benestar de Catalunya durant aquells anys. Això és el que dic. LF: Clara, l'Alfred Bosch mencionava que Catalunya és econòmicament robusta. Per això, pots entendre perquè Espanya no voldria perdre el seu tercer centre econòmic. L'extensió lògica d'això és: què està fent Espanya perquè Catalunya estigui contenta? CP: Aquest és el problema. Espanya ha tingut 30 anys de democràcia per a solucionar-ho, i sembla que no ho hem fet. Hi van haver intents de reformar l'Estatut Català. Aquests van acabar en catàstrofe i, no hi ha molt més que puguem provar. Podem continuar parlant, però no ho podem fer sense aconseguir millores i això és el que el ciutadà mitjà de Catalunya està descobrint. No podem continuar de cap de les maneres com estem. Hem d'avançar. De totes maneres, és cert que en el curt termini la separació de Catalunya pot fer mal a l'economia espanyola. És cert en el curt termini. A mitjà termini, no veig perquè hauria de ser dolent. Espanya necessita desesperadament reformar-se, necessita modernitzar-se en termes d'administració pública, ambdues, Espanya i Catalunya. Ens hem de modernitzar en les nostres institucions i en la nostra administració pública, el sistema judicial no és un sistema digne d'un país democràtic modern. Totes aquestes coses, tindran moltes més possibilitats si fem una nova transició. Espanya comença de nou i Catalunya també. LF: Molt bé, gràcies a la Clara Ponsatí, Alfred Bosch i Carles Muntaner per estar amb nosaltres avui. LF: Dimarts parlarem de la violència sexual contra les dones natives americanes. Una de cada tres dones natives denuncien que són víctimes. I la pregunta és, per què el sistema legal no persegueix els seus atacants? Envieu-nos les vostres idees i comentaris sobre aquest tema. Artículo 2 de la Constitución Española.